Brave and Happy: The Friday Dance! Don't do it! Why only dance on Fridays? Dance every day at school! Do you ever ask someone, "How are ya?" and they respond with, "It's Friday!" as if the previous four days were some sort of torturous journey? I like a good weekend too, but I believe we need to set up our schools to be desirable every day of the week! Fridays should be no better than any other day. Wednesdays shouldn't be half-way though the grind of a work week. 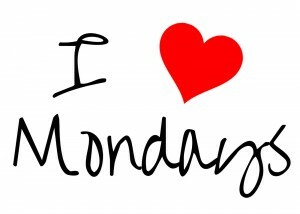 To take that idea to an even better level, schools should make Mondays sound like the best day of the week! The day we are most excited about because we get to be with our students again, doing great things! Fridays should sound like, "Goodbye! I'll miss you kids! Have a great weekend! I can't wait to see you on Monday!" Mondays should sound like, "Oh my goodness, it is great to see y'all! I am ready for a great week! I hope you are too!"